Real-time dust and noise measurement system with rapid configuration and delivery. Construction is gathering pace in London with skyscrapers shooting up in the city and several major building, demolition and rejuvenation projects underway. Casella’s pioneering BOUNDARY Guardian will play a vital role in reducing occupational health and environmental risks in many of these projects this summer. The scene across the capital reflects a boom in the UK construction sector, which is seeing its highest growth since the recession. According to the Construction Products Association (CPA), the industry is primed for further growth during the next five years. However, an increase of construction and demolition sites means an increase in noise, dust and other airborne contaminants. This will have a significant impact on the local environment and as such can result in a headache – both literally and figuratively in financial and legal terms – for the contractor. Improving the regulation and enforcement of environmental monitoring provisions in the sector therefore needs to be a higher priority. On-site noise and dust monitoring should be an essential part of site planning as well as an ongoing process throughout the construction project. Fortunately, businesses can take advantage of modern instrumentation to monitor conditions and protect the local environment as well as the business and its workforce from the negative effects of exposure. 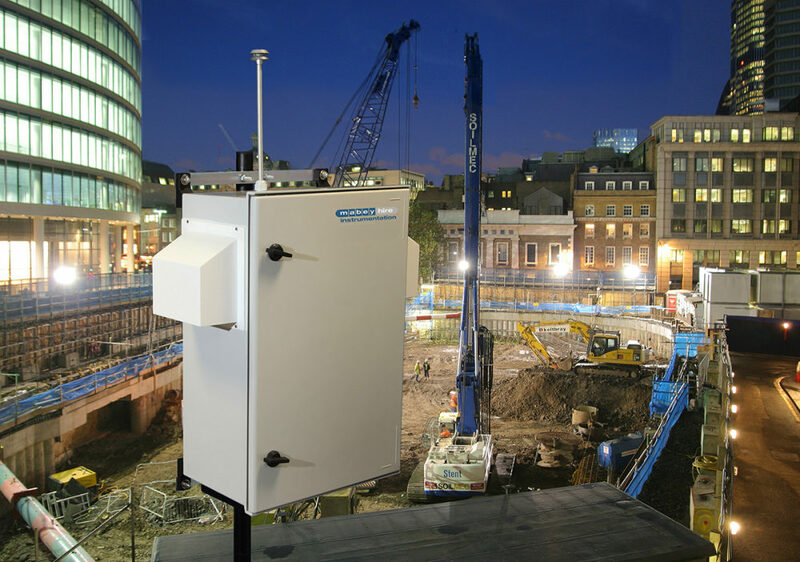 Casella’s BOUNDARY Guardian is the first simultaneous multi-parameter dust, noise, wind speed and direction monitor from a single manufacturer in the UK. This innovative, web-based, remote system offers a powerful tool to aid the UK construction industry by ensuring compliance with regulatory limits, including Section 61 restrictions and PPG24. It can report on noise parameters LAeq, LAmx, LA10 and LA90, particulate levels PM10, PM2.5 or TSP to a sensitivity of 1ug/m3 and wind speed and direction accuracy of +/-2%. The BOUNDARY Guardian requires minimum maintenance and features a unique filter that allows for on-site calibration of dust. Recognising the nature of construction projects, orders for Casella’s BOUNDARY Guardian can be configured from stock to suit individual requirements at very short notice. Installation and commissioning are equally rapid subject to an appropriate mounting and 110/240V power being available. Because it allows customers to monitor site environments remotely, the BOUNDARY Guardian is a highly efficient tool for the construction industry. In processes such as demolitions, waste transfer and roadside monitoring, it brings peace of mind to site and works managers by informing them of issues so they can take action and avoid costly disruption and later problems. Furthermore, if complaints are made about noise or dust onsite, the BOUNDARY Guardian gives them the data to prove compliance with regulations.